The Battle of Karbala was a military engagement that took place on 10 Muharram, 61 AH (October 10, 680) in Karbala, in present day Iraq, between the forces of Yazid I, the Umayyad caliph and Hussein, the grandson of prophet Muhammad. Hussein and all his supporters were killed; women and children were taken as prisoners. This battle is central to Shi’a Muslim belief in which the martyrdom of Hussein is mourned by an annual commemoration,Ashura (Aşura in Turkish). There are approximately 1 million Caferi Shiites in Turkey, most of which live in Istanbul and the eastern border town of Igdir. In Istanbul they inhabit a shantytown neighborhood in the outskirts of the city, which they started building in the late 1970s. The neighborhood is called Zeynebiye, referring to Hussein’s courageous sister, Zeyneb. In ASHURA, artist Köken Ergun has worked in close collaboration with the people of Zeynebiye, documenting their preparations for the ceremonies which involves a mass theatre performance and the isolated weeping ritual at the end of the Ashura day. 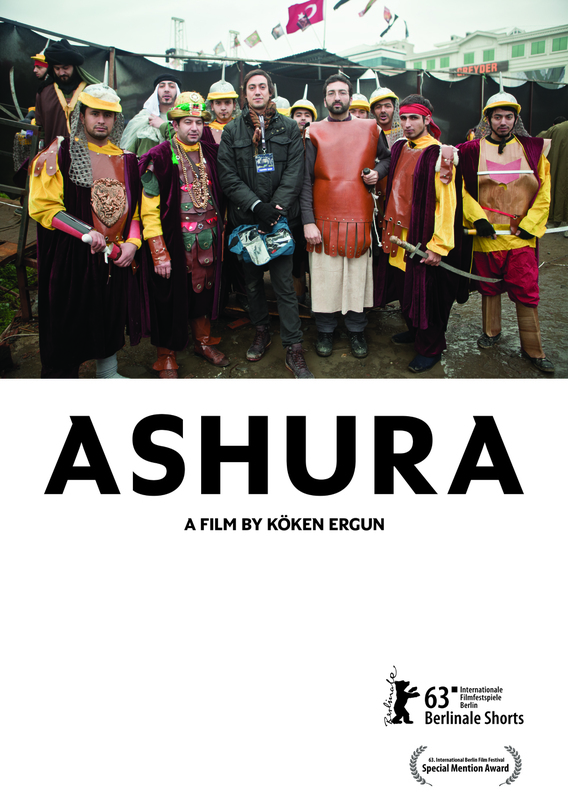 Originally a 3 screen video installation, ASHURA is also a single channel film that can be shown in cinemas.